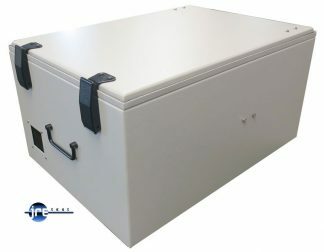 Our smallest enclosure with removable I/O plate - ideal for dongles, cellphones, pagers. 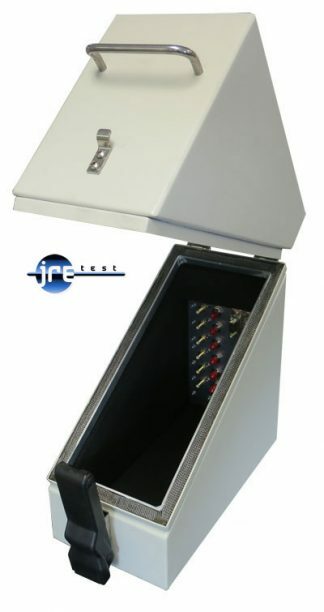 Containing all the capability of the larger JRE enclosures, the compact JRE 0709-P is ideal for small wireless devices such as; cell phones, pagers, WiFi dongles and other small RF devices. 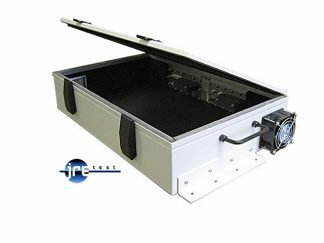 Featuring rugged welded aluminum construction, you can be assured of its tight RF shielding effectiveness. 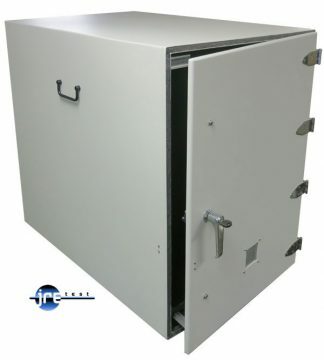 Long life door gasket material along with double edge engagement not only provides solid RF shielding, but smooth troublefree operation over its lifespan. Our wide selection of I/O connectors allow almost any device to be interfaced inside the enclosure, and internal electromagnetic absorbing material reduces RF reflections and hot-spots. Universal I/O plate with incredible connector options. Easily changed in the field for multiple uses. JRE Test "A" size I/O plate. Fiber optic bulkhead feed thru: Type ST, FC. 4 or 6 terminal barrier strip, 2500 pf filtering. 120/240 VAC power strip. JRE Test’s RF Shielded Test Enclosures deliver real value and save time over in-house fabricated test solutions. 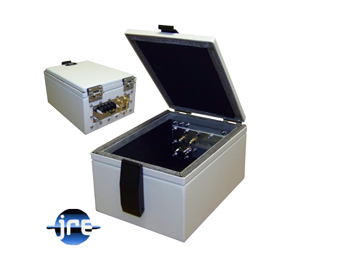 Our fast off-the-shelf delivery, unbeatable price and performance make us the first choice for all your RF test needs. 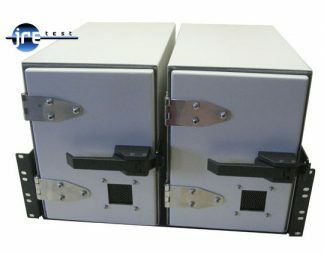 The industry's widest line of enclosures provides superior RF isolation from 10 MHz to over 6 GHz, covering the entire range of popular commercial, private and government communications systems. Whether you are designing, integrating, or conformance testing the next generation Wi-Fi, WLAN, 3G Cellular device, you can rely on JRE Test to provide a seamless solution that is compatible with today’s technology and is ready for the future.